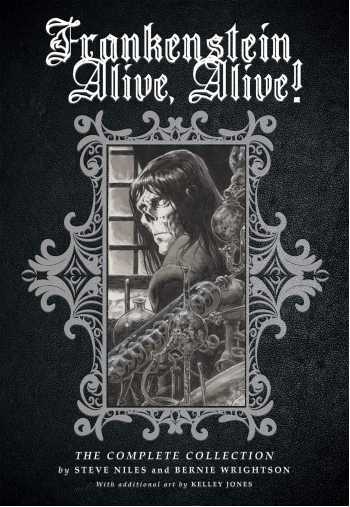 Inspired by Mary Shelley's immortal gothic horror tale, Frankenstein Alive, Alive brings new life to the Promethean monster, courtesy of Steve Niles (30 Days of Night) and Bernie Wrightson (Frankenstein, Swamp Thing). Victor Frankenstein's cobbled together creature continues his adventures, embarking on a journey to discover his own humanity. 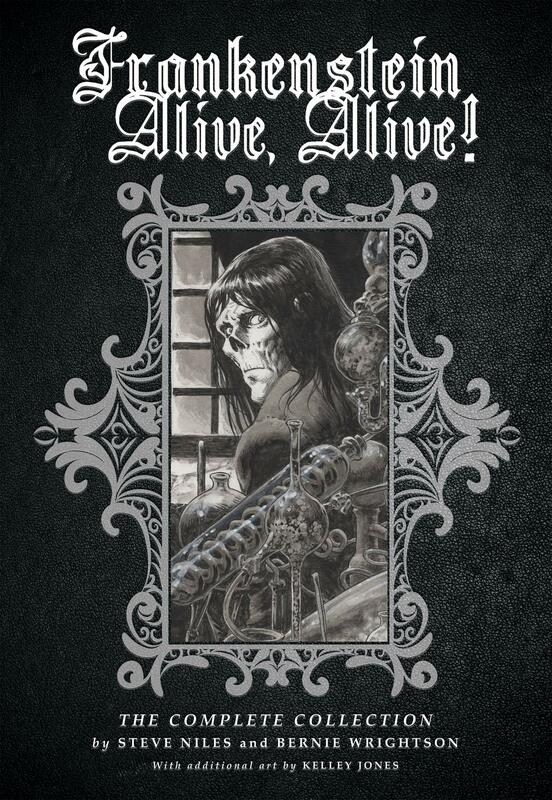 This collection includes the four-issue series along with an extended gallery section of never-before-seen layouts and pencils by Wrightson, all scanned from the original art. Additional art is supplied in the final chapter by Kelley Jones (at Wrightson's request), who stepped in to complete the series upon the comic book legend's untimely passing.